Years of playing games like the original Lumines, Harmonix's Frequency, or Squid in a Box's PC shooter Waves have left me with a voracious appetite for electronic music, which is why the 34 tracks included in Ubisoft's Lumines Electronic Symphony have me drooling. Where else will you find music by Howard Jones and Art of Noise mingling with tracks by Benny Benassi or Russia's SCSI-9? Okay, outside of a dance club in Second Life? Right, other than German — we can't all afford a trip to Germany, unless we're German and live there anyway. No, "on the internet" doesn't count. 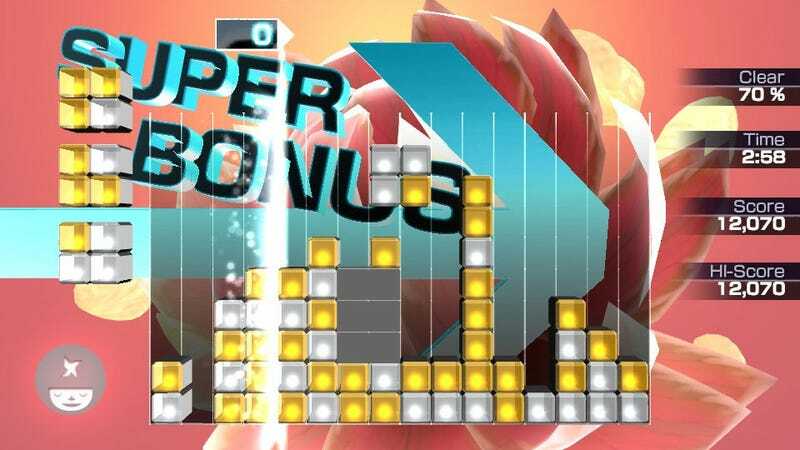 Check out the 34 tracks that put Lumines Electronic Symphony at the top of my PlayStation Vita must-haves list. Then hit up the link below for some short interviews with some of the artists on the PlayStation Blog. "Embracing The Future" – B.T.